Approximately one million Americans are diagnosed with thyroid eye disease each year. My very own mother-in-law had thyroid disease before. She had even suffered from mild graves’ eye disease which isn’t a pleasant disease to deal with. Thankfully her thyroid hormones level is now under controlled. What Is Graves' Eye Disease? Thyroid eye disease, also known as Graves’ eye disease and Graves’ ophthalmopathy is a complication of Graves’ disease. 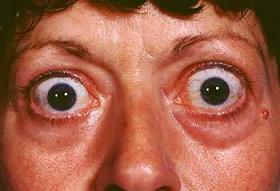 Graves’ disease is the most common form of hyperthyroidism. It is an autoimmune disease in which the patient's own immune system mistakenly attacks the thyroid gland which responds by secreting too much hormones. 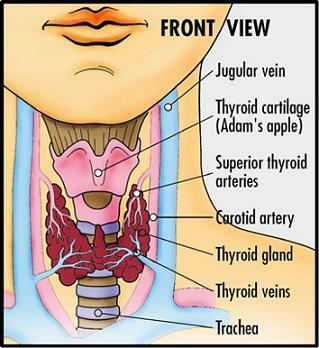 The thyroid gland is a butterfly-shaped gland located in the lower neck. It is the body’s internal thermostat.It regulates the body’s temperature by secreting two hormones that control how quickly the body burns calories and uses energy. 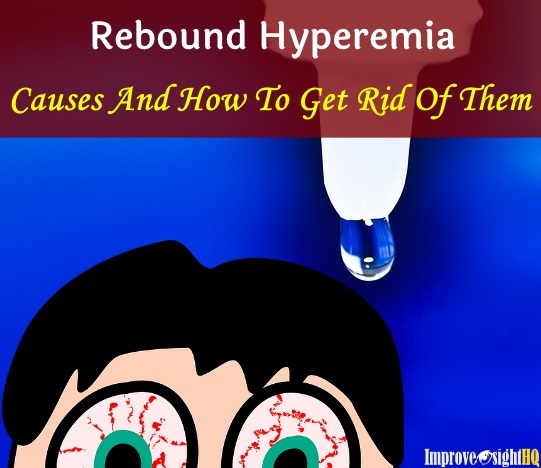 If the thyroid gland secretes too much or too little hormone, hyperthyroidism results. 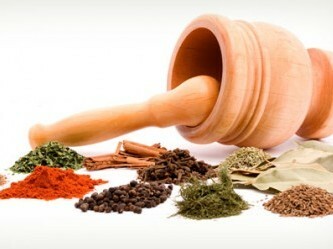 In the state of overactive metabolism, all the body’s processes speed. You may experience symptoms such as irritability, nervousness, raise in body temperature, increased perspiration, difficulty sleeping, change in menstrual cycle, irregular heartbeat and fatigue. What Causes Thyroid Eye Disease? It is not well understood what is the exact stimulant that causes the immune system to attack the thyroid gland. However, there are times where the autoimmune system may attack the eyes too. 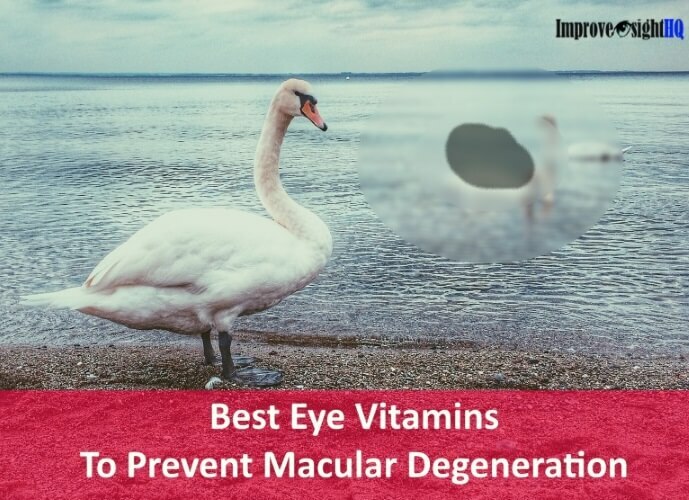 This occurs because the eye muscles and the connective tissue within the eye socket contain proteins that appear similar to the immune system as those of the thyroid gland. Thus, resulting in thyroid eye disease. This disease can lead to permanent blindness if not treated quickly. Graves' eye disease often appears at the same time as hyperthyroidism or several months later. Thyroid eye disease is managed by treating both the thyroid and the eyes. The first priority is to bring the body back to euthyroid condition. 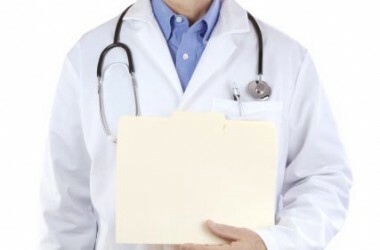 Treatments of the Graves’ disease include taking thyroid-regulating medications to suppress the production of hormone by the thyroid gland and administrating radioactive iodine to shrink the thyroid gland. For some serious cases, patients are even recommended to surgically remove the thyroid gland altogether. Patients may need additional medication afterward to ensure normal amounts of thyroid hormone. Even if your thyroid function has been treated and restored to normal, your eye must be monitored as it often continues to progress. Vision loss is often go unnoticed until it becomes permanent. The treatments for Graves’ ophthalmopathy are typically divided into two phases. The first phase involves treating the active eye disease and focuses on preserving sight and the integrity of the cornea. Dry eyes occur because the lids can’t cover the eye (due to protruding eyes) or because the tear-producing glands have been affected and aren't functioning properly. For mild cases, over-the-counter artificial tears can provide immediate relief for daytime use and a lubricating gel can help to keep eyes moist during sleep. Your doctor may recommend this approach if your eye problems aren't reacting well or getting severe complications from corticosteroids. Orbital radiotherapy works by using targeted X-rays to destroy some of the tissue behind your eyes. 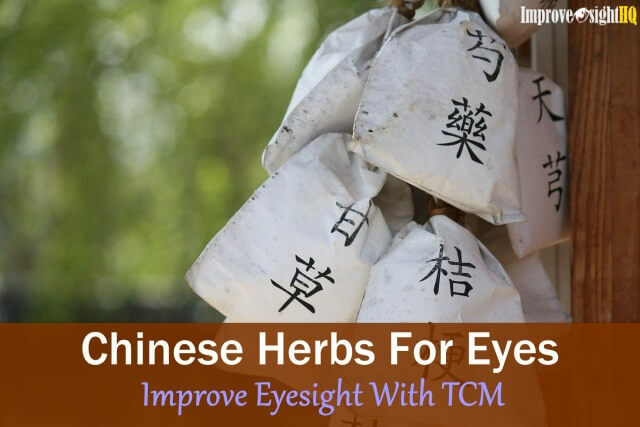 However, some studies have suggested that this treatment is only marginally effective for people who have mild to moderately severe Graves' ophthalmopathy. Treatment with prescription corticosteroids, such as prednisone, may help to reduce swelling behind your eyeballs. However it does come with side effects such as weight gain, mood swings, elevated blood sugar levels and increased blood pressure. If your eyes are protruding to a great degree, your doctor may recommend this surgery. In this surgery, your doctor removes the thin bones that make up the orbit of the eye so that the eyes may move back to a more normal position. This is to prevent pressure from building inside the eye, raising the risk of developing a vision-threatening condition called glaucoma. Possible complications include numbness in the lips and double vision. If you have double vision due to thyroid eye disease, having prisms in your glasses may correct your double vision. The inflammation caused by Graves' disease can affect your eye muscles, making them unable to align eyes properly. In order to realign your eyes, a strabismus surgery may be required. In this eye muscle surgery, your doctor cuts the muscle where it attaches to your eyeball and then reattaches it farther back, giving the patient better eye alignment and movement. Sometimes, more than one surgery is necessary. The inflammation caused by Graves’ disease can caused your eyelid to retract. This retraction can be rectified with surgery that relaxes eyelid muscles and/or inserts spacer material to re-position the eyelid. 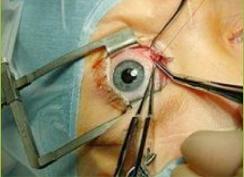 Eyelid surgery is best performed after orbital decompression and strabismus surgery. Cool compression - The added moisture may soothe your eyes. Wear wide-arc sunglasses - Your eyes become more vulnerable to bright light and ultraviolet rays when they are protruding. 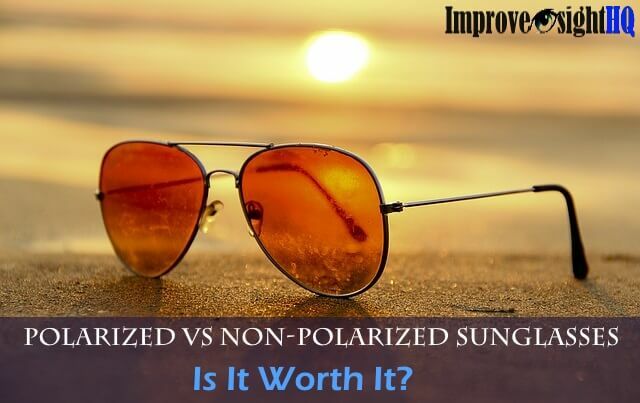 Wear sunglasses that covers the side of your head. It also help reducing eye irritation by blocking the wind from your eyes..
Taping - If your eyes tend to dry out at night, use surgical paper tape to gently tape them closed. Eat well - As Graves’ disease is a metabolic disturbance, it is imperative that you watch your diet closely. Eat lot of cruciferous vegetables such as broccoli, cauliflower, kale, mustard greens, brussels sprouts and spinach. These foods are potent modulators of our autoimmune response system. Pop your head up - Having your head slightly higher than the rest of your body lessens fluid accumulation in your head. 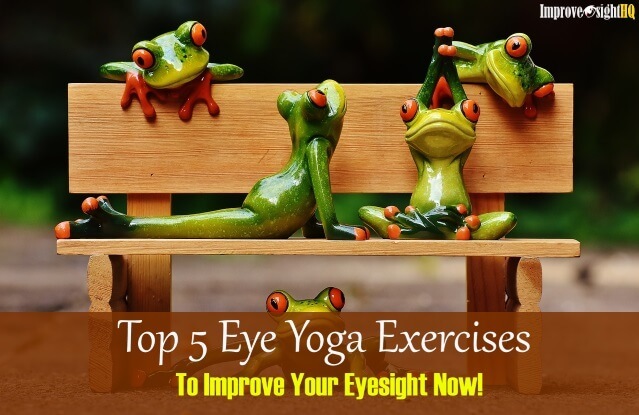 Which may help to relieve pressure in your eyes. Banish the cigarettes - Smoking is bad for your health. Period. Your chance of success in treating Graves’ eye disease improves greatly if you cease smoking immediately. Try out the smoking cessation program if you have difficulty quitting.